By now, you're all probably familiar with the term self-driving cars. The first names to come to mind might be Google and Tesla, but of course, car buffs would know that other manufacturers are also following the footsteps of these two giants when it comes to driverless vehicles. 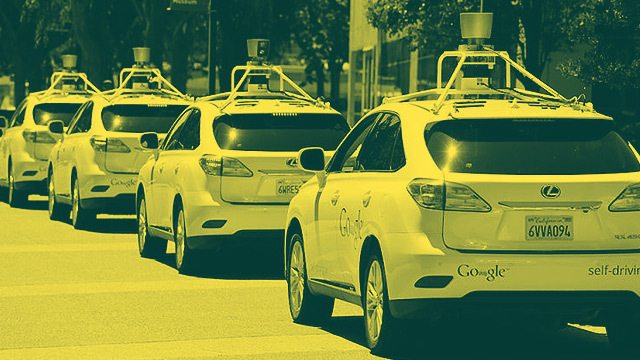 There's even a prediction that by 2020, all roads will be filled with self-driving cars. However, we haven't seen a decent electric vehicle on the road yet due to countless testings and prototype experimentations. But if you read articles about driverless car concepts, you'll be able to pinpoint what would make the perfect self-driving vehicle. So to help you out with the vision of your future car, FHM decided to enumerate for you the perfect recipe for the perfect ride. Below are some features which car manufacturers are already adding to their automobiles. It's just a matter of time before a perfectly functioning one is slashing through pavement. Artificial intelligence is not new to us. It can be seen in games, robots, and smartphones. Basically, AI is a feature which is able to remember your choices so that you won't have to repeat yourself anymore. Imagine if the self-driving cars of the future could recall your favorite destinations to save on your travel time. Of course, you'd want a futuristic car to have futuristic looks. The perfect driverless vehicle should have an upgraded design which is compatible with its other features. Admit it, parking your ride can sometimes be difficult, especially if you're trying to locate a decent parking space. Wouldn't it be easier to have a self-driving car that can pinpoint an available slot at the mall and can parallel park for you without any trouble? What's the point of having an electric self-driving car if you can't enjoy a strong WiFi signal while it's driving you to your destination. Of course, car manufacturers are working on this feature not just for your own use but also for more accuracy for your GPS system. Speaking of GPS, the perfect self-driving vehicle should have an accurate location system. Otherwise, you might end up on the other side of the town if your car couldn't precisely take you to your destination. The benefit of loading your car with fuel is that it only takes a few minutes only to fill up the tank, while electricity might require hours of charging. As of now, the fully-functioning driverless vehicles from different car makers have speeds which cannot fully compete with the fuel-powered cars we have now. At least, not yet. Hopefully, future smart cars will be able to move quickly in the least possible time. If you're going to call an automobile a smart car, it should live up to its name. One feature that some self-driving cars have now is the ability to communicate with other driverless cars for location purposes. To avoid crashing (and breaking road rules), self-driving cars need this key feature. The lane detection system should be accurate or else traffic will surely follow. The cars that we have now include front and rear cameras for safety reasons, so it's only natural that more advanced vehicles, such as self-driving ones, should also have them installed.